Sonic Boom: Shattered Crystal, also known as "Sonic Toon: Island Adventure" in Japan, is an action-adventure video game developed by Sanzaru Games and published by Sega. 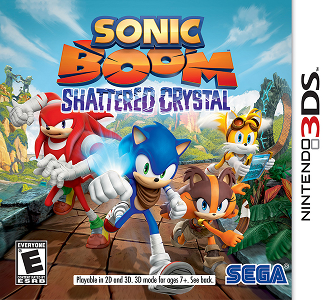 Along with its Wii U sibling Sonic Boom: Rise of Lyric, Shattered Crystal is a spin-off of Sega's Sonic the Hedgehog franchise and is a part of the Sonic Boom sub-franchise. Sonic Boom: Shattered Crystal doesn’t boot on Citra. The game only shows the loading ring for a second before the screen is entirely black.